I've been very slow and domestic today, attending to this and to that and I sat down on the couch with a small rug to repair and turned on the TV to watch as I worked, tacking the back on which had come unraveled in the wash. It's just a rug I got at the Goodwill but I love it, one of those Chinese wool ones and I stand on it when I brush my teeth and it feels good beneath my feet. 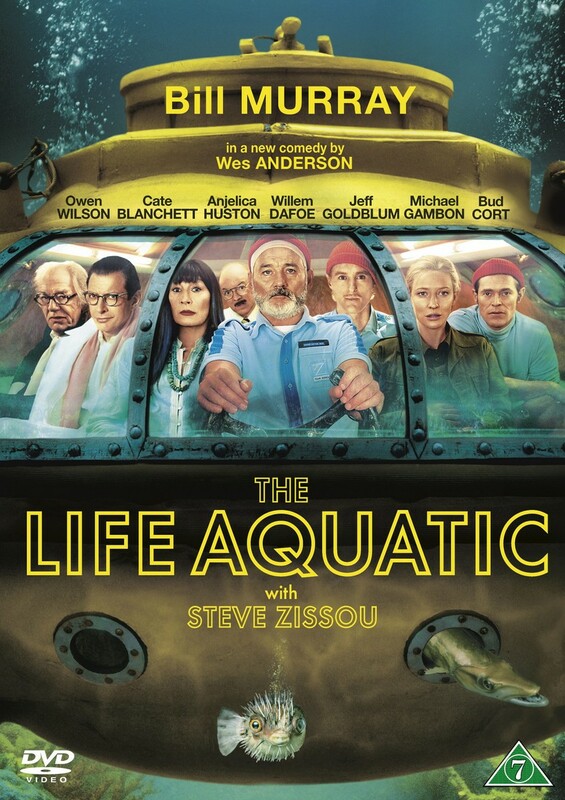 Anyway, I got to catch the tail-end of The Life Aquatic with Steve Zissou which is one of those movies that I love so much, so much, that when it appears before me, I watch it. Was there ever a better cast? Bill Murray, of course and always and Jeff Goldblum whom I've been in love with forever and Anjelica Houston who is a goddess, a stone cold goddam goddess, and Owen Wilson and it goes on and it goes on and if I ever got to meet Wes Anderson I would say thank you five million times for that movie alone, and if I had another four or five thousand hours, I would start in on thanking him for so many other movies I have loved that he's made with such tender-heartedness, such awareness of human frailty and sadness, such belief in beauty and color and story and music and all of it. I would do that, if I met him. I went out to the garden and picked some more peas and also green beans which seem to be as tenacious in their living as anything I've ever planted and I got bit by ants, speaking of tenacious, and right now I'm listening to this on my phone. And dear god if L. Ron Hubbard wasn't at the very opposite end of the human spectrum as Wes Anderson, I don't know who was. I'd say "bless his heart" because someone needed to but I just can't bring myself. I am not Jesus, y'all. It reminds me though, listening to this book, that mad men throughout history have been able to convince so many that their own particular madness is a truth and which has spread and infected millions. I think of Donald Trump and grow weary at the thought. It would be plain funny if so many weren't affected in such horrible and soul-crushing ways. What is it in the human make-up which wants to believe that there is a savior? That someone, or rather Someone, can save us from our pain, our fear, the very idea even of death? I'd so much rather believe in a someone who can create art which, for a moment at least, can lift us above the pain and the fear, can make us feel as if in sharing those things along with the undeniable beauty which does surround us and does indeed live in us, as if we were not alone and that there can be reason to love and to laugh. This all sounds so trite. Well. It may be. But at least it's not completely ridiculous and based on lies and on hatred, whether of others or of ourselves. I do know that I saw the two banties today, flying like real birds across the yard. I just adore these little chickens which are so much less domestic than the other chickens. I do know that since Jack got his balls cut off, Maurice has been sleeping with us every night, all night long. She was in the bed with me last night when Jack jumped up on the bed and she growled him right off. I do know that the only thing better than a Neil Gaiman book is a Neil Gaiman book read by the author. I do know that I made the ugliest loaf of bread today that I've ever made in my life and that if it came to life, it would be a horrible ogre of such great hideousness that people would run in terror but we shall probably just slice it and put butter on it and eat it. I do know that my sewing machine is ready to be picked up. I do know that we may go to Costco tomorrow. I do know that I am longing for the water and hope to go to the island soon. I do know that I am rich in love beyond my wildest dreams and I do know that the sprays of roses that Publix sells three for twelve dollars are amazing. No filter, y'all. Just the picture that appeared when I snapped the iPhone camera. I also do know that the flooding in Louisiana is unbelievable and I cannot even begin to take that in. And that life knocks me out, over and over again in all ways and that not one day goes by that I am not completely bowled over, knocked out, made humbled. Such a great post, and I'm in agreement with everything except for the movie since I HAVEN'T SEEN IT! Can you believe that nonsense? I adore Wes Anderson and just have no idea why I haven't seen that one. I will remedy that immediately. What??? Elizabeth. I hope you've watched it now. I don't know why but it just charms me to pieces. Nothing trite here. I 100% agree. Matthew Gubler Grey is in it too! Though it's one of those movies that wa a casualty to pregnancy exhaustion for me, I think the moment we put it on I fell asleep in a Pavlovian response to a video sort of way. I must rewatch it properly. Yes! Watch it, Jo! It's so whimsical and sweet. And sad. JT- thanks for coming by! Isn't it funny that we can be in touch again? I love your blog. You're one hell of a real writer. Such gorgeous roses! I did try to get into that movie but maybe I was surrounded by too many sarcastic pseudo movie critics. Must give it another go. That whole creator rubbish is just a cop out. I remember being about 8 and thinking what if there really is a god and the sense of confusion and eventual relief when my father told me in one short and grumpy sentence, no, it's all down to us and we can manage. Or something like it. Well, it's not everyone's cup of tea, that movie. It's pretty dang whimsical. Oh, how I like that. We don't always manage that well but we try, don't we? I pulled my green beans out. they seemed to be starting to bloom again even if sparely but the 1st go round got about 2" long and never any bigger, just tougher. if there is a creator it is something so vastly incomprehensible that we are like cells in it's body, if it had a body. it's about as interested in us as I am in any one cell in my body. it just oozes life and let's it happen. I've never seen that movie either but now I really want to. I've just started adding the snapped beans to my zipper peas when I cook them. It's all good together. Yep. Totally agree with you on the cell thing. I hope you'd like the movie. It sort of gets out there but Anderson brings it home in my opinion. It's a true "tale." Having grown up in Tampa, near Clearwater, where Scientology has its headquarters, I've read lots of reports in the St. Pete Times (and elsewhere) about how bizarre it all is. I just don't get how people could believe it. Then again, I don't get how people could believe most religious stuff.